peaceful ourself. This book will help us do this. There is for everyday: an inspiring quotation, a story or reflection, and a suggestion for prayer or practical action. In the words of Mairead Maguire, Nobel Peace Prize Laureate, 'This beautiful book will inspire readers to travel the path of prayer to inner peace and to work for a more peaceful world. Marcus Braybrooke draws on his knowledge of world religions, his personal friendship with people of many faiths, and his pastoral experience as a priest to help us grow in compassion and hope. 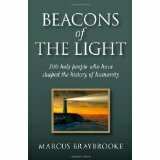 Beacons of Light is now available as a Kindle e-book. The World Congress of Faiths and the Growing Interfaith Movement. Religions preach peace, but too often they have been hijacked to justify violence. Widening Vision tells the story of the growing interfaith movement and its work for peace and social harmony. 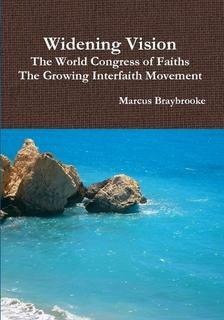 Details : A History of the World Congress of Faiths 1936-1996 by Marcus Braybrooke, published by Oneworld. 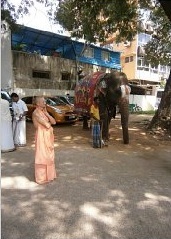 The search for peace in society and in the world cannot be separated from the quest for inner peace in the heart. If you wish for a more peaceful world, the first step is to resolve to become a more peaceful person yourself. This commitment is a lifetime task. This books offers for each day of the year an inspiring quotation form a spiritual teacher, a story or reflection and a suggestion for a related prayer or practical action to help you grow in inner peace or contribute to peace in the home or in the world. Christians and Jews Building Bridges surveys the key issues that have dominated Christian-Jewish relations in Britain during the last twenty years. The book's publication coincides with the seventieth anniversary of the founding of the Council of Christians and Jews. It is, however, a personal reflection and not an official history of the Council of Christians and Jews (CCJ). Particular attention is given to the tensions over Christian attitudes to Israel and Jewish objections to Christian evangelism. Because it is people not religions who engage in dialogue, the second half of the book tells the story of some of those who have been most active in creating new understanding and friendship between members of the two religions. This new relationship means that Jews and Christians now look to the future and how together they can contribute to the healing of the world. Details : By Marcus Braybrooke. Details : 'Christianity: An Explorer's Guide challenges many accepted views of Christianity both within and outside the church. Marcus Braybrooke urges readers to look beyond doctrines and church organisation to see Jesus for themselves. 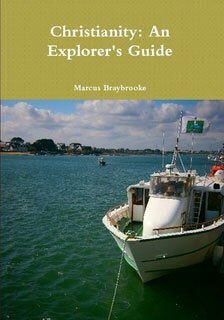 Price : £12 post free (UK). More info : Looking back on fifty years of ministry Marcus Braybrooke expresses disappointment that the Church has been slow to adapt to a changing world and open its doors to spiritual explorers. His hope is that Christians together with members of other faiths will make the search for peace, protection of human rights, relief of poverty and the protection of the environment their priority. The book offers a comprehensive and compassionate over-view of Christianity. It is an ideal survey for the enquirer or member of another faith who wants to learn about Christianity. It will also give Christians a deeper understanding of their faith and the fascinating and varied history of the church. Details : Published by SCM Press. Price : £10 post free (UK). Interfaith conference, Tuesday 10 September, Coventry: A full day conference is planned. You can send us a message from our Contact Us page here.